The budget proposal will only drive up the cost of doing business. And that added cost will be passed onto consumers. The Obama administration frequently touts its support for reducing the tax burden on middle class families, thereby helping them save for retirement. Yet its tax proposals sometimes seem at odds with this seemingly benign intent. For evidence of this, look no further than the administration’s budget for fiscal year 2016. In enacted, the proposal would impose a fee on financial institutions with assets of more than $50 billion, based on the liabilities they hold on their balance sheets. This proposal is a bad idea, for it will only drive up the cost of doing business for these institutions (life insurers included). And that added cost will be passed onto consumers. Upshot: Middle market consumers will pay more for two vehicles they depend on to secure their financial futures: life insurance and annuities. The administration’s proposal is wide-ranging. In addition to life insurers, the tax provision would encompass banks and bank-holding companies, savings and loan institutions, asset managers, broker/dealers, specialty finance firms and financial captives. The fee would be determined by the financial liabilities (assets minus liabilities) of the institution. In respect to insurers, the proposal would also adjust separate account assets. How many insurers would be affected by the tax proposal? SNL Financial examined the balance sheets of financial institutions holding $50 billion-plus in assets and determined that 25 publicly held insurers met the proposal’s criteria. The other institutions include 28 top-tier banks and thrifts and 23-SEC-filing nonbank institutions. In total, 76 institutions will pay the fee. And we’re not talking small change. Banks will be slapped with a bigger bill: an aggregate $7.6 billion in fees. And non-bank financial service institutions — Fannie Mae, Freddie Mac, Goldman Sachs and others — will dole out an additional 6.38 billion. In unveiling the proposal, the administration clearly is rummaging for new sources of revenue with which to pay down the nation’s debt and fund high-priority projects. Example: rebuilding long-neglected infrastructure. But there are better ways to pay for these things. As to roads and bridges badly in need of repair, a gasoline tax hike makes eminently good sense. It’s long overdue: Since 1993, the U.S. federal gasoline tax has been 18.4 cents per gallon. Given the significant decline in oil prices over the past year — the going rate for Brent crude has dipped from $110 per barrel in July 2014, to just over $60 per barrel today — a higher gas tax will hardly make a dent in consumers’ pocketbooks. Alternatively, the administration could borrow more. Despite the now GOP-controlled Congress’ concerns about the nation’s rising tide of red rink, the nation’s debt as a percentage of gross domestic product is quite low: just 2.8 percent. Given historically low interest rates, the servicing of government debt can be easily managed. 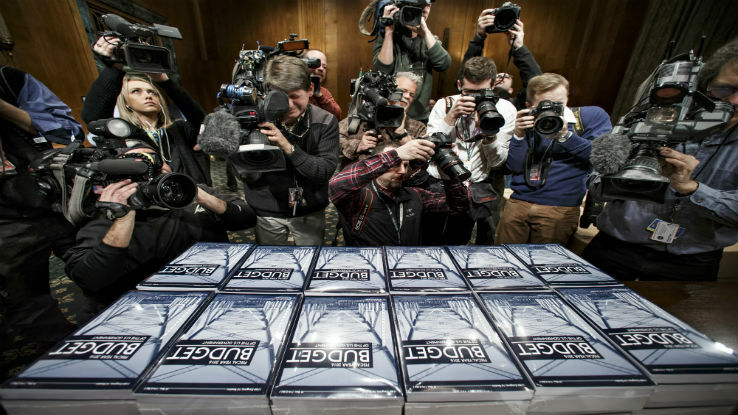 Yet, the administration soldiers on with its 2016 budget proposal — one, unfortunately, that seems consistent with other administration and congressional proposals that could prove detrimental to those saving for retirement. Among the high net worth, one source of concern is a deficit-cutting proposal the administration unveiled in May that calls for capping the value of individual retirement accounts at $3 million. For retirement savers in the middle market, a more serious issue is the pending debate on tax reform. North of $3.2 trillion in so-called tax expenditures are at stake. As I reported at last September’s annual meeting of the National Association of Insurance and Financial Advisors, a slew of financial service products could get the axe under the Taxation Expenditures Report, issued by Congress’ Joint Committee on Taxation. To name a few: life insurance and annuity inside build-up (valued at $158.1 billion in tax expenditures), traditional IRAs ($69.5 billion) and Roth IRAs ($30.2 billion). There’s no question the government needs more revenue to meet current fiscal obligations and invest for the future. But tacking taxes and fees onto retirement savings vehicles and the financial services institutions that provide them is not the way to go about it.